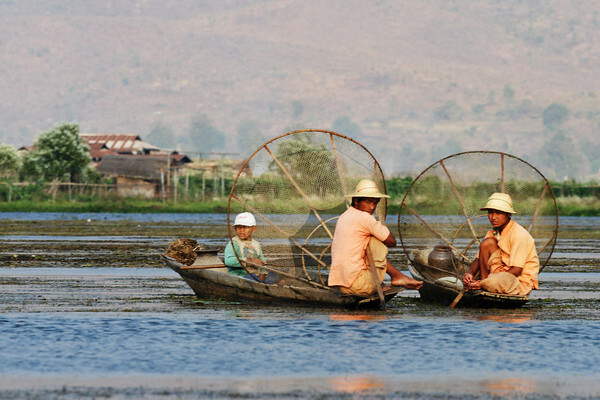 Bagan, Kyaing Tung, Mandalay, Ngapali, Inle lake and Yangon. 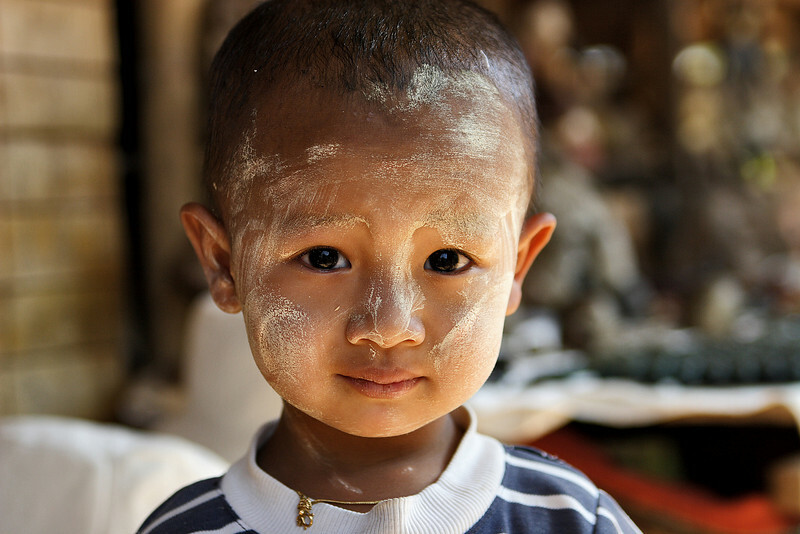 Kid from In Dein market, Inle lake, Myanmar. 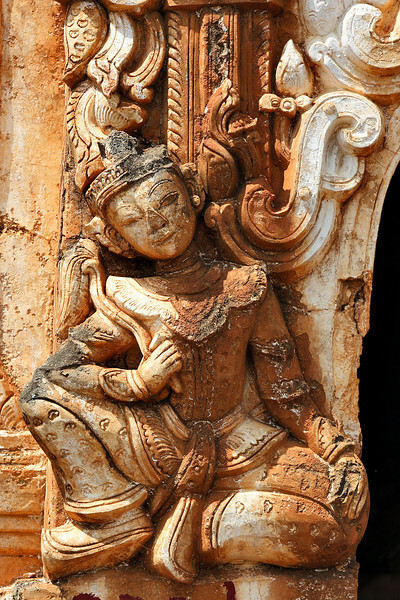 Detail from a buddhist temple at In Dein, Inle lake, Myanmar. 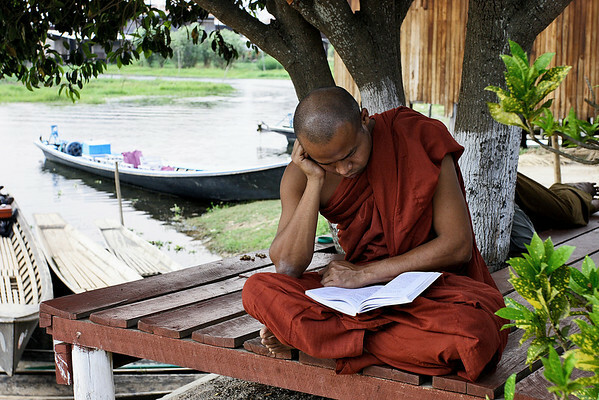 A monk from the "Jumping cat" monastery, Inle lake, Myanmar. 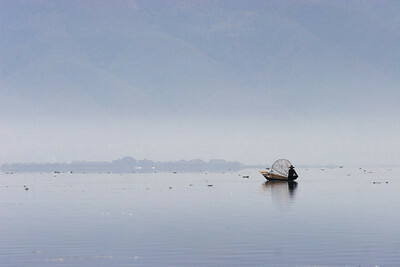 Inthas fishermen, Inle lake, Myanmar. Woman with the traditional hat from Pa-O tribes, Myanmar. 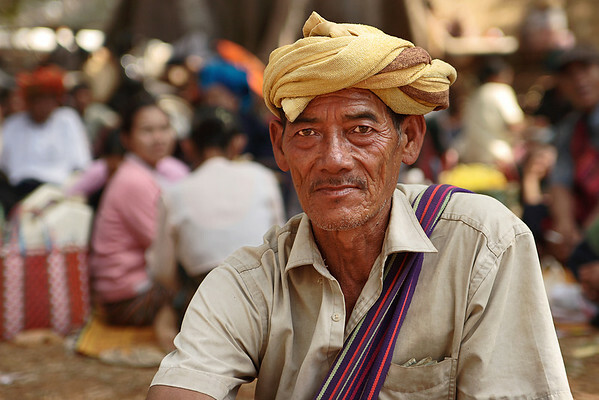 Man wearing the traditional dragon-shaped hat from Pa-O tribes, Myanmar. 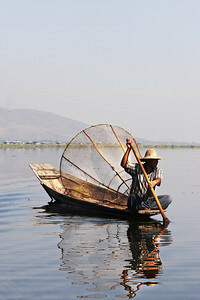 Traditions from Intha fishermen, Inle lake, Myanmar. Monk festival, Inle lake, Myanmar. Girl with Tanakha on her face during a Buddhist festival at the Aludabang pagoda, Inle lake. 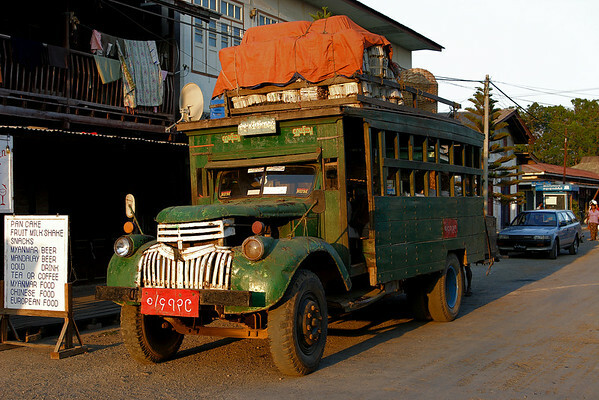 An ageless truck in the Nyang Shwe streets, Inle lake, Myanmar. 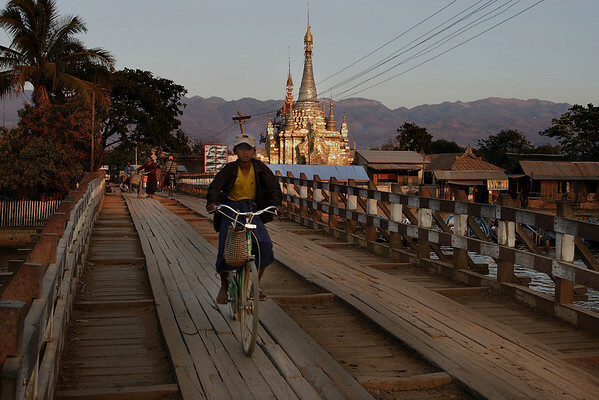 Bridge at Nyang Shwe, Myanmar. I wonder how do you do to have all the places on the photos ? Superb shots from a place I would love to visit. Thanks for sharing and giving a glimpse. Ngapali is a flawless beach. Most historians point out that British named it after Napal, Italy. It's ashamed that we don't have a picture of the beach here. Steven, would you post one? Though most pagodas have either gold-color paints or covered with real-gold leaves, Shwedagon pagoda is made of real gold blocks screwed to the core structure. A politician once suggested that all these gold should be melted down to make practical use for the ill economy. He was later accused as a communist, (and might really turn out to be a real communist). Shan state is a major state (like Texas and California) and Shan Kings known as saw-bwarS were once very powerful and respected. Here on the board we see Shan language. It is a derivative of Sankrit(Sandscript) just like Burmese. Olympia once made Shan language typewritters. Shan alphabets have more seriffs than Burmese where Burmese characters are made by pure circles and straight lines. Akha is a variant of a tribe called e-call. Such tribes refuse to use the modern currency. They still use silver coins minted by the British. Commerce with them has to be negotiated with the silver coins. There exists an unofficial exchange rate. Please note that the little girl is wearing the rare coin on her neck and her headwear. This traditional makeup is worn by both boys and girls, and also women of any age. 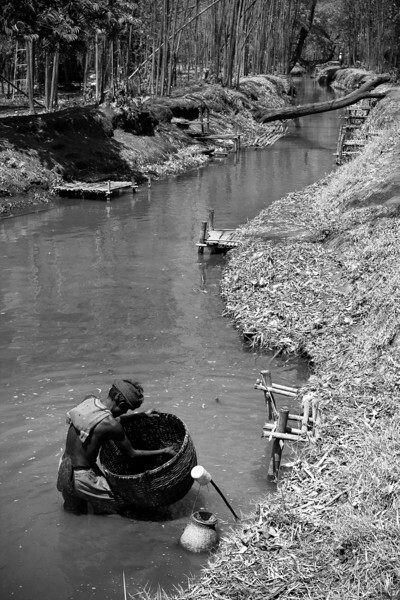 The paste is acquired by grinding the Ta-na-kha tree's bark with some water. It is simply known as Ta-na-kha. It is a very effective sunscreen. 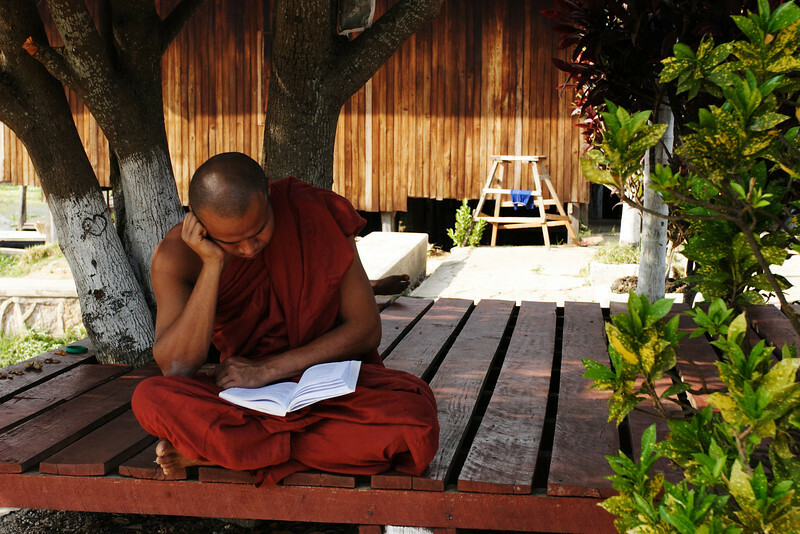 It also absorbs facial oil, but does not pose an over-drying problem because of the humid weather of Burma.